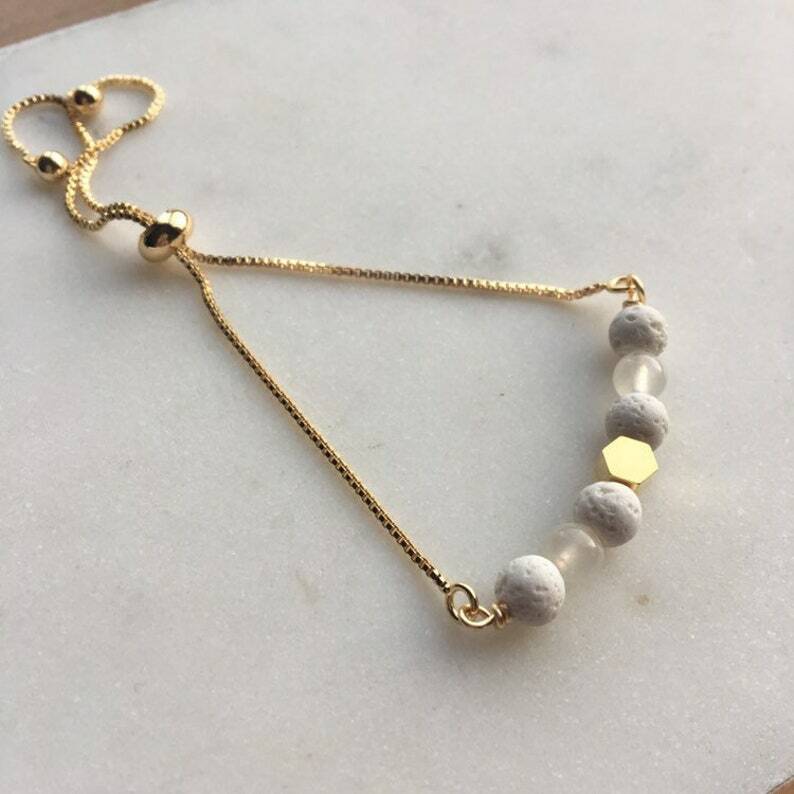 Simple modern, pretty jewelry for everyday. Small real lava rock beads are wire wrapped with brass hex beads and smooth moonstone beads for an unexpected and modern bracelet. Bracelet measures 8" and is adjustable. Just slide the gold beads for your best fit. Lava bead is white and may discolor if darker oils are used. This does not impact it’s functionality. ♡ QUESTIONS? Send me a convo by clicking "contact the shop owner" below this listing. My name is Leslie, and I love to answer your questions!